CLICK THE PICTURE BELOW TO ZOOM!! 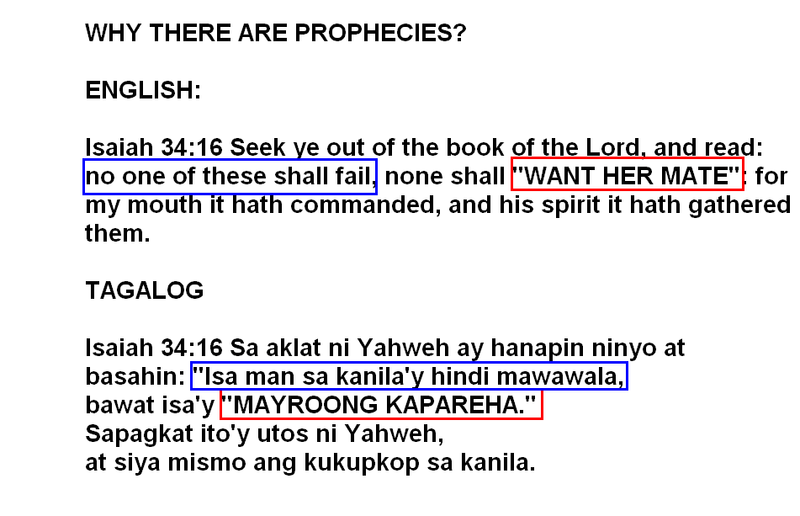 MATEO 5:17 “Huwag ninyong akalaing naparito ako upang pawalang-bisa ang KAUTUSAN at ang ARAL NG MGA PROPETA. Naparito ako, hindi upang PAWALANG-BISA kundi para “IPALIWANAG” AT “GANAPIN” ang mga iyon. 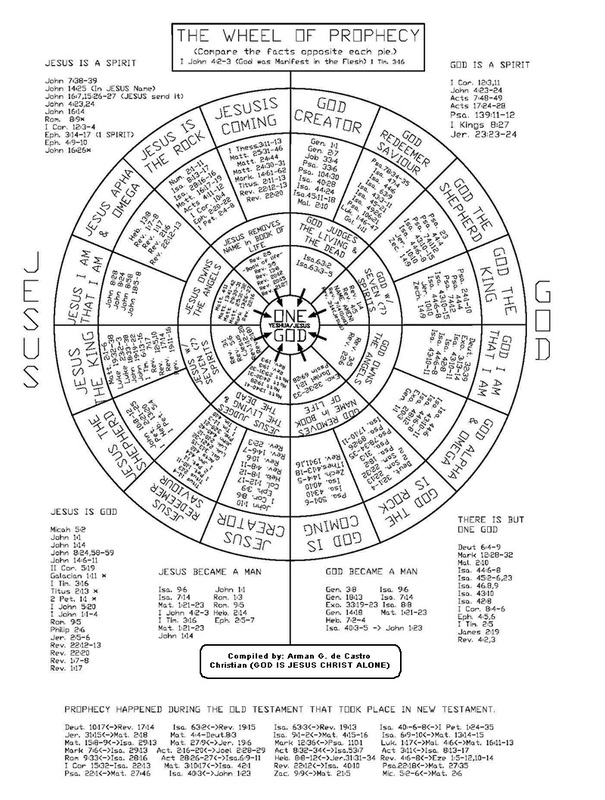 HOW TO READ THE WHEEL OF PROHECIES THIS IS HOW YOU COMPARE THE FACTS OPPOSITE EACH PIE? HE IS ALSO THE LIVING WATER!! 13 By calling this covenant “NEW,” he has made the OLD TESTAMENT obsolete; and what is obsolete and outdated WILL SOON DISAPPEAR disappear. I cannot see in your wheel the HOLY GHOST. Where is your God the Holy Spirit? 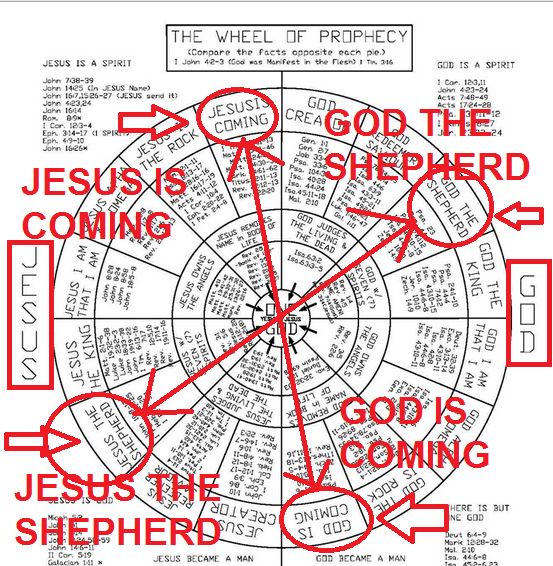 Is it not included in the “wheel” of prophecy? There is no such God the Holy Spirit, there is only One GOD and not three persons in One God. HAVE YOU SEEN GOD 7 SPIRITS? ]ohn 14:12-17, “Verily, verily, I say unto you, He that believeth on me, the works that I do shall he do also; and greater works than these shall he do; because I go unto my Father. And whatsoever ye shall ask in my name, that will I do, that the Father may be glorified in the Son. If ye shall ask anything in my name, I will do it. If ye love me, keep my commandments. And I will pray the Father, and he shall give you another Comforter, that She may abide with you for ever; Even the Spirit of truth; whom the world cannot receive, because it seeth her not, neither knoweth her; but ye know her; for she dwelleth with you, and shall be in you.” Aramaic, and Syriac version. Bro. Armando, if you take text of their contextual preparations then you will not ]ump to Revelation immediately! You must follow the basic introduction of the Holy Spirit by ]esus himself to the disciples. eh symbolical nga SON OF MAN niya diba? so WALANG SON kung tutuusin diba? try to review the 12 tribes of ISRAEL you do not understand what is ISRAEL. read also JAMES 1:1 the 12 tribes scattered around the world. READ : THE ORIGIN OF ISRAELITES IS JACOB. THE NORTH, SOUTH, EAST AND WEST LOCATION OF 12 TRIBES. 90% OF THE CHARACTER AND PROPHETS IN THE BIBLE ARE ISRAELITES! !